We apologise that we’re temporarily out of stock, but more are on the way, check back soon or contact info@prideindiversity.com.au to preorder! 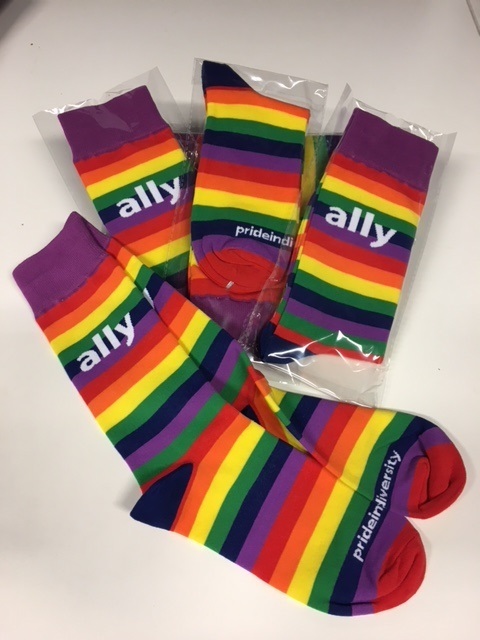 These fabulous rainbow ALLY socks are designed to complement your LGBTI ally inclusion initiatives. One size fits most, and they’re made from a lovely soft cotton blend.